Now as I was having a rather relaxing Australia Day, I didn't feel like making one type of potato so I tried making the stacks three ways. So this recipe is for the potato stack in the centre. Also this is a recipe where the recipe is a guide really. 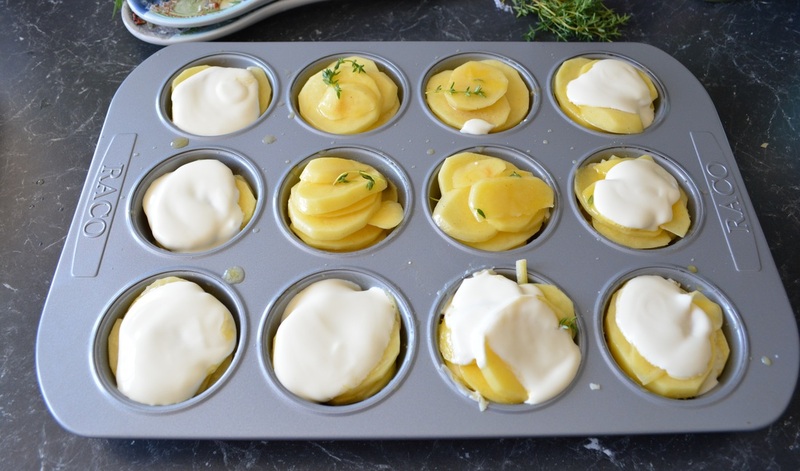 You can make more or less of them, without worrying about measuring anything, as basically the recipe is, add potato slices to a bowl, mix with a few ingredients and place in muffin tins, simple. Spray 12 standard muffin cups with nonstick cooking spray. Whisk together in a large bowl the melted butter, oil and thyme. Season with salt and pepper. Mix to combine. Add the potato slices and give it a good mix, you want each slice to be coated evenly with the butter mixture. 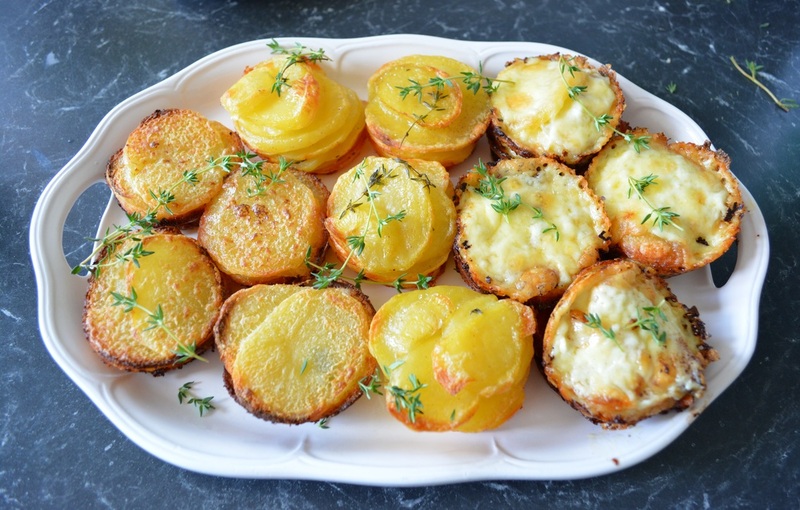 Now start placing the potatoes into your prepared muffin tin, layer the potato slices, filling each one to the top. Bake for 45-55 minutes or until the edges and tops are golden and the centre is tender, check by poking with a skewer. Allow to cool and set for 3-5 minutes. Now I would add a sprinkling of Maldon salt (as for me potatoes do need salt) and the whole thyme leaves.